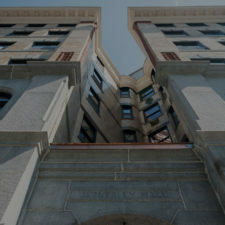 Hereva’s Waverley Hall Project Wins Historic Preservation Award - Hereva Consultants Inc. Built circa 1885, the 6-­story building at 115 Mt Auburn Street is a historic masonry building and part of the Harvard Square Historic District, City of Cambridge. Until recently, the building was in disrepair. Working closely with Cambridge Historic Commission, the project team carefully restored the original façade details, including brick, masonry and stained glass and replaced the ornate cornice at the roof. The building has now been fully renovated into boutique micro living spaces. The 22nd annual awards were presented by the Historical Commission at Story Chapel at Mt. Auburn Cemetery in Cambridge, MA in conjunction with National Preservation Month. Other award-winning projects included: Mount Auburn Cemetery–Egyptian-style Entrance Gate; 51 Antrim Street; 45 Garfield Street Grays Hall–Harvard University–Winthrop House; 330 Harvard Street; 29 Highland Street; 19-21½ Inman Street; 859 Massachusetts Avenue; 246 Norfolk Street. The Cambridge Historical Commission (CHC) is the city’s historic preservation agency. Established in 1963, the Cambridge Historical Commission (CHC) seeks to preserve the integrity and diversity of Cambridge’s built environment and to disseminate information about its history. 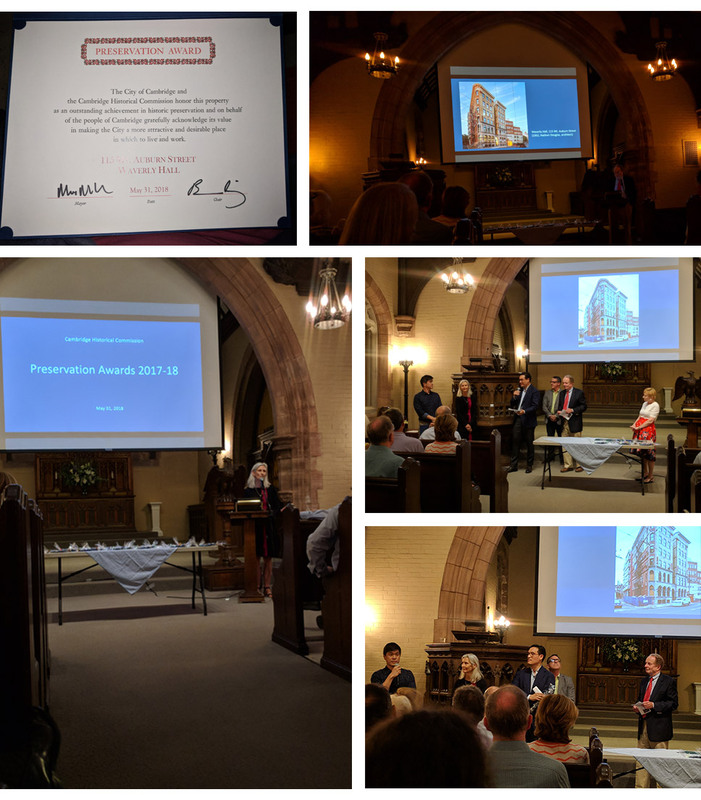 The CHC protects designated properties throughout the city; preserves the integrity of Cambridge’s many significant buildings through the administration of CPA-funded preservation grants; and honors local projects with Preservation Awards.